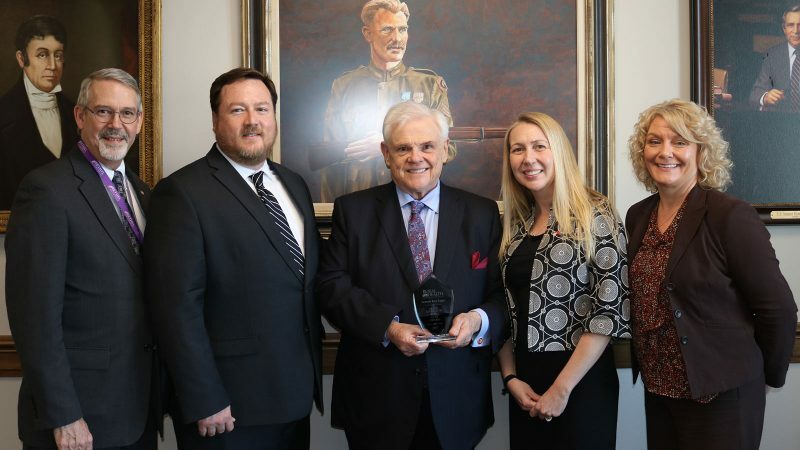 (NASHVILLE, Tenn.) — State Senator Ken Yager (R-Kingston) has been recognized by the Rural Health Association of Tennessee for his outstanding support in providing healthcare services to children and adults in the state’s rural communities. Yager received the group’s “2017 Legislator of the Year” award principally for his sponsorship of legislation that works to support rural communities and make Tennessee a better place to live. In 2017, Senator Yager passed The Ground Ambulance Service Provider Assessment Act which greatly benefits rural ambulance services by bringing $19.7 million in federal funds for ambulance services through the state’s TennCare Program. “This legislation sets a mechanism in place for cash-strapped Tennessee ambulance services to generate needed revenue through additional funds on TennCare transports,” said Yager. Other pieces of legislation that he has influenced include the Rural Economic Opportunity Act to spur economic development of the state’s economically distressed counties, the Prescription Safety Act to revise regulation of controlled substances; legislation that impacts child abuse and the phase out of the Tennessee Hall Income Tax.